Benicio Del Toro may have been hooked on a feeling for Marvel’s beloved galactic adventure Guardians of the Galaxy, brining The Collector to life with style and grace. But given the fact that the actor is unsure if he will reprise his role in James Gunn’s 2017 sequel, Del Toro is now eager to cement his place in a galaxy far, far away instead. Speculation ran rife only last month when the actor was reportedly offered a major part in Rian Johnson’s Star Wars: Episode VIII, one which would see him play the sequel’s lead villain – likely to be an all-powerful Sith Lord. 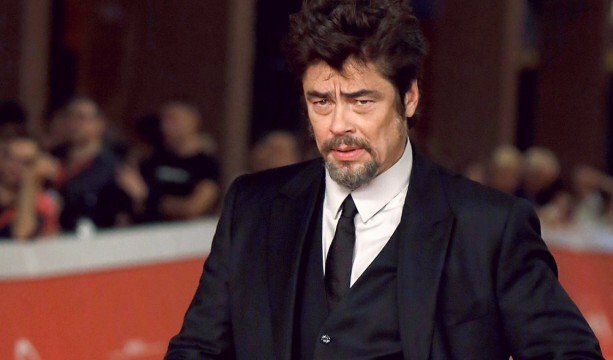 Following up on The Wrap’s initial report, Benicio Del Toro essentially confirms the rumors here, and admitted that he is hopeful all will fall into place sooner rather than later. All but confirming his place amongst Johnson’s production, Del Toro is an actor that brings a certain gravitas to his roles, and we’ve long seen his ability to inject a sense of menace into characters via Oliver Stone’s Savages, not to mention portraying the corrupted Jack Rafferty in Robert Rodriguez’s Sin City. Who he will bring to life in Johnson’s Star Wars: Episode VIII is still up for question, but we have every confidence that his journey to the Dark Side will be as compelling as it is unsettling. Johnson will reportedly kick off production on the next mainline installment in Disney’s galactic reboot early next year, with Star Wars: Episode VIII slated for a release on May 26, 2017.